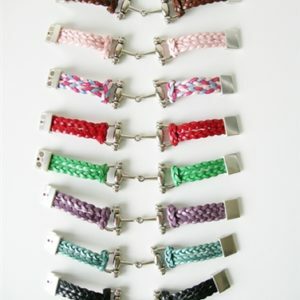 Home Sale LILO Crossrail Jump Leather BraceletReturn to Previous Page. 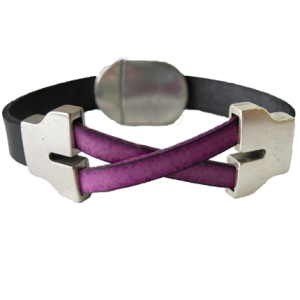 Categories: Jewerly | Lilo Collections of Spain | Riding Accessories | Sale. 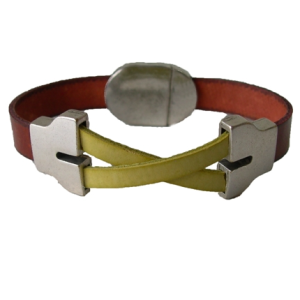 Tags: jump bracelet | leather bracelet | LILO Collections | LILO Crossrail Jump Leather Bracelet. 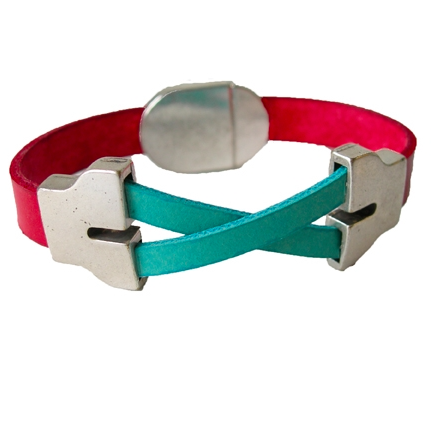 Introducing the newest addition to the LILO collection: the LILO Crossrail Jump Leather Bracelet! 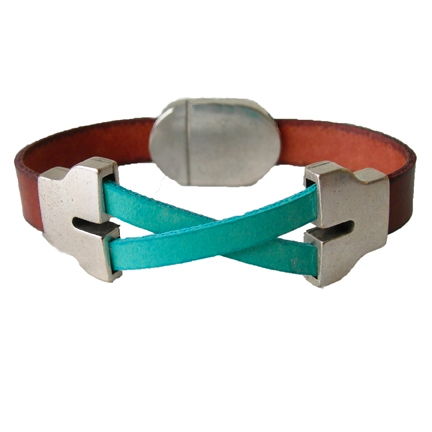 This super cute two-tone leather bracelet is the perfect way to express your personality. So unique and fun to wear, the LILO Crossrail Jump Bracelet gives any outfit that extra little something. Perfect for stacking or wearing alone. 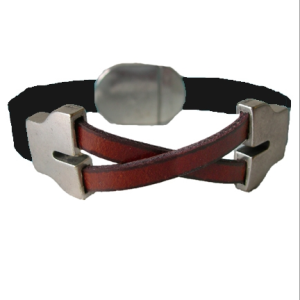 An antique silver tone magnetic clasp closure is sturdy and secure. Made in Spain. 7.25″ length. Established in 1997, Leather Goods of Spain is the home of LILO Collections™ and LILO Esperanza™ fashion brands. They manufacture fine leather goods, handbags and belts, home decor, and gifts from Spain sold under the brand LILO Collections™. Their LILO Esperanza™ brand includes a broad range of products including: handbags, scarves, small leather goods, candles, men’s and children’s accessories, luggage and travel accessories. They introduced the LILO Collections™ product line of 35 items over 17 years ago. Now they have grown to over 500 items with various product lines which offers a wide variety of goods to fit consumer’s needs. Please feel free to stop by our Facebook page to see what’s new at Halo Horses, and don’t forget to leave a comment while you are there. We love to hear from our customers! 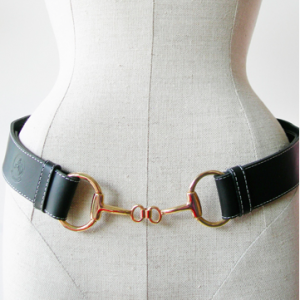 The LILO Collections Windsor Bit Belt is a highly adjustable and stylish Spanish leather belt with an adorable bit buckle. The Exselle Faux Tail Bag is padded and opens up completely; allowing easy access. 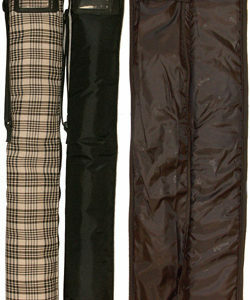 Halo Horses customers love the protective nylon flap, that keeps the horse hair inside the bag. 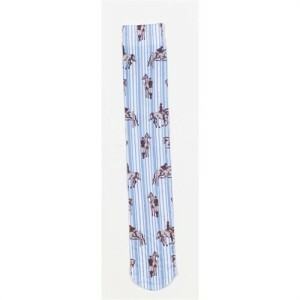 At Halo Horses we believe in offering only the finest equestrian wear available. 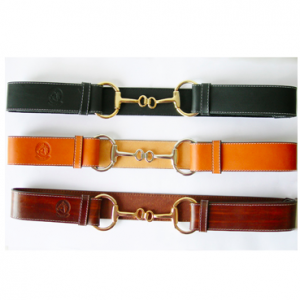 We have taken the time to test many products on the market and only the top brands and styles are offered here at Halo Horses. For that reason we carry the Samshield V-Skin Swarovski Gloves. 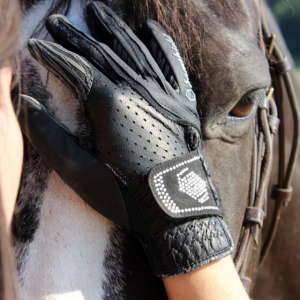 Samshield is known in the equestrian world as a top of the line product and we love suggesting their products! The Thornhill Jumping Bat features a soft rubber handle. With the narrow and “grippy” design of this handle, you won’t be accidentally dropping your crop when you need it most! 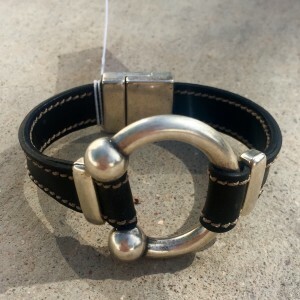 Also features a leather popper. The length is the ideal size for the show ring: 18″. The Ovation Zocks Jumping Horses Boot Socks are thin enough to be worn under tall boots. So many fun and colorful designs to choose from! Because you can never have enough socks–why not collect them all? Onesize fits all. The Pessoa Show Pack is the perfect way to keep all your gear handy while ringside! 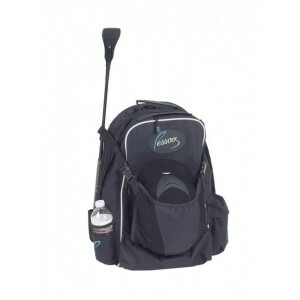 Features a whip holder, water bottle pocket, helmet sling, and a roomy interior for all your show needs. 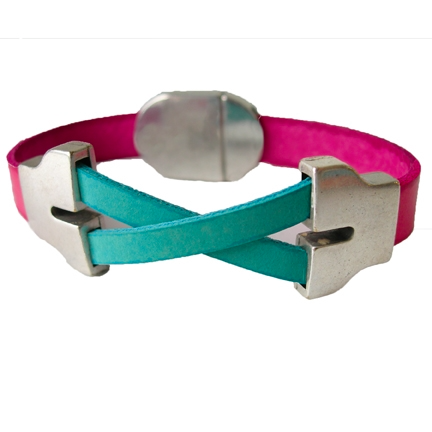 The LILO Skinny Bit Leather Bracelet is stylish and fun to wear. 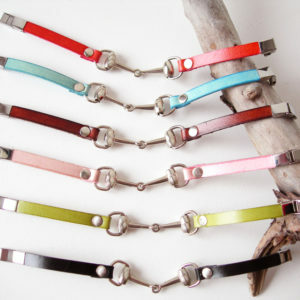 An instant classic, the LILO Skinny Bit Leather Bracelet now comes in 6 great colors to match any outfit! Also makes a great gift for your barn friends or trainer. Features a stainless steel clasp. Made in Spain. 7″ length. The LILO DeSoto Leather Bracelet is a double braided bit bracelet. 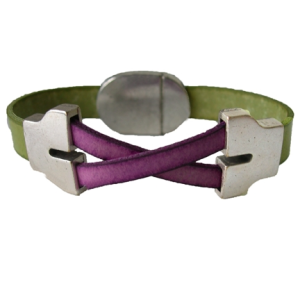 This chunky stylish bracelet is a “click” to wear with its convenient magnetic buckle. Made in Spain. 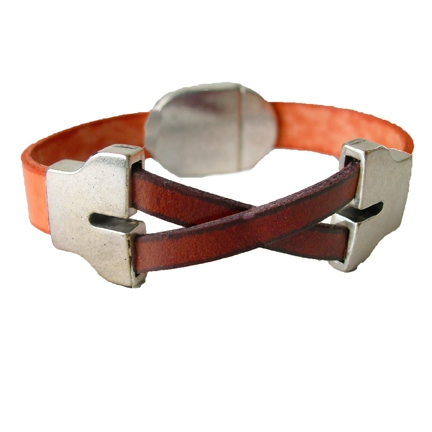 The LILO Cordoba Bit Leather Bracelet is unlike any other leather cuff bracelet. It features silver tone hardware that takes a unique twist on the bit ring. Perfect for the equestrian fashionista and truly complements any outfit! 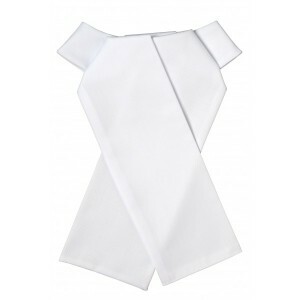 The Ovation Cotton Twill Euro Stock Tie is made in Europe and adds that finishing touch of class to your show apparel. 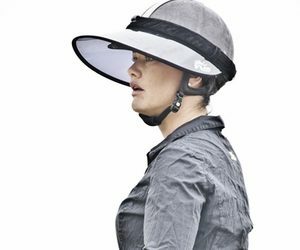 The Soless Visor is a revolutionary equestrian visor. It allows for nearly complete UV protection without blocking the rider’s peripheral vision. 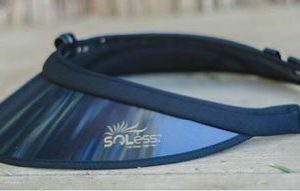 The Soless visor is made of a transparent polycarbonate film that offers the same quality of sun protection as wearing sun block. It securely fastens to the rider’s helmet with an adjustable lock. Features a ‘No More Fly Away’ Clip that keeps the visor on the rider’s helmet (where it belongs). 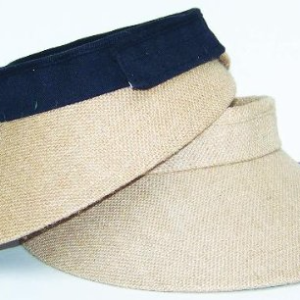 The Equivisor Jute is the answer to bulky visor woes. This visor features a 4″ tapered brim that provides the ultimate in sun protection. A simple velcro closure is secure, yet capable of accommodating helmets of all shapes and sizes. The Equivisor Jute is large enough to completely shade your face and ears without obstructing peripheral vision. Can also be worn alone. Onesize fits all. Jute. Love Halo Horses? Then sign-up to receive our newsletters and be the first to learn about our sales, special offers, and upcoming events and shows that we are attending with our mobile showroom! 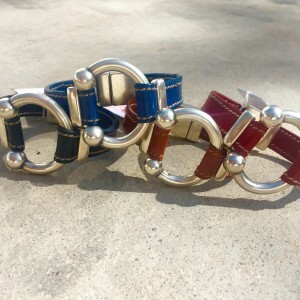 At Halo Horses, our goal is to help you and your horse look fabulous no matter what your level of equestrian expertise! We're experienced riders, a mother and daughter team, with years of experience in riding apparel, horse tack, and accessories. We understand your need for fabulously fashionable, functional equestrian apparel and riding gear, at affordable prices, with outstanding customer service! Shop online today, or come see us at our next event. Copyright © 2013-2015 Halo Horses LLC. All Rights Reserved. Website development by DGR Communications.